1. There is hand gliding. 2. 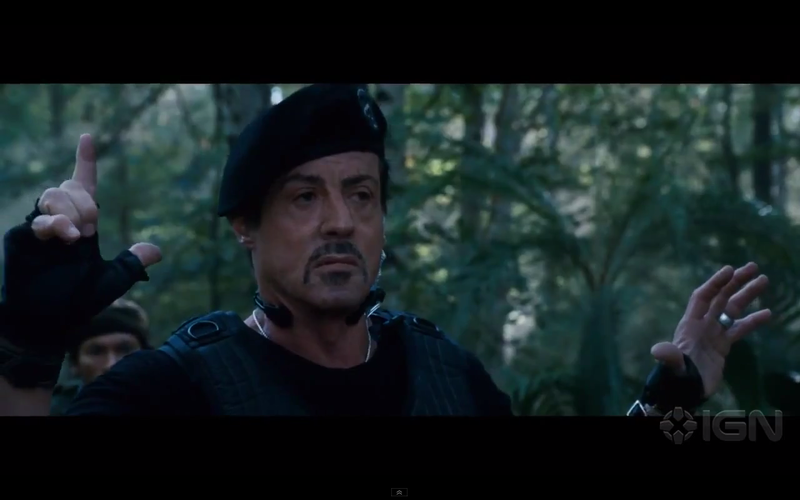 Sylvester Stallone’s plastic surgery has held up. 3. 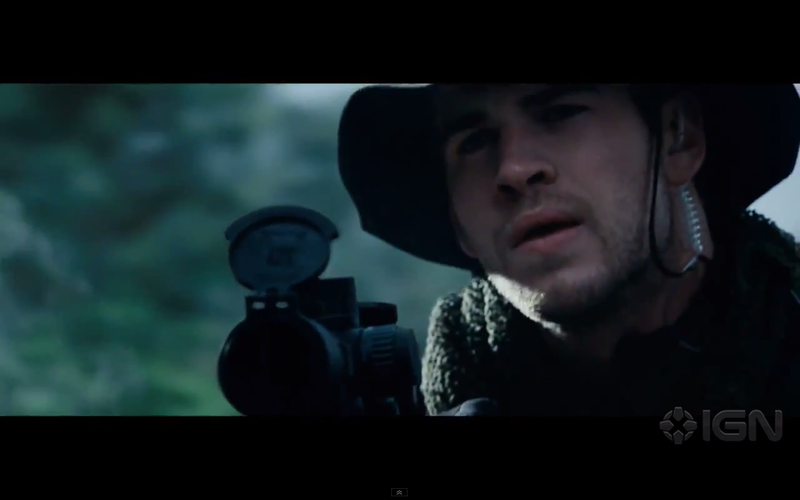 Liam Hemsworth wears a hat and it should not be confused with any hats he may wear in Catching Fire or Mockingjay. 4. 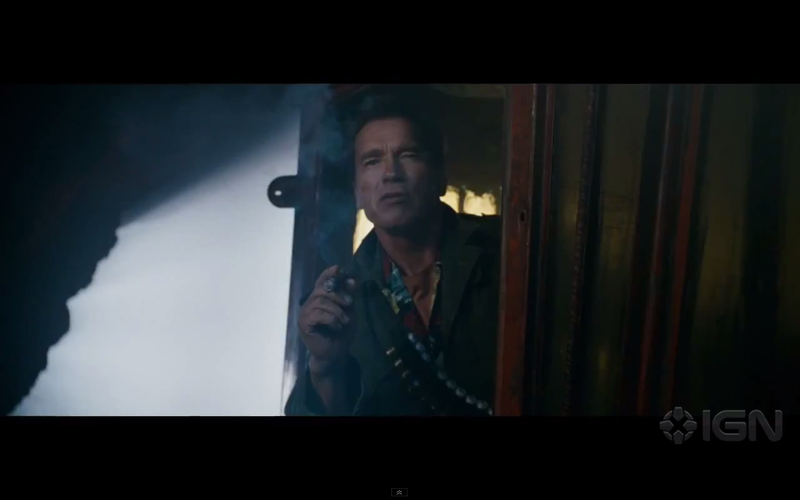 Arnold is back and doing what he does best, saying that he’s back while casually smoking a cigar. Glad he was let out of the home for this one. 5. There are small explosions. 6. There is a woman. She is not be confused with Jet Li. 7. They borrow Captain America’s airplane and wear stylish coats. 8. 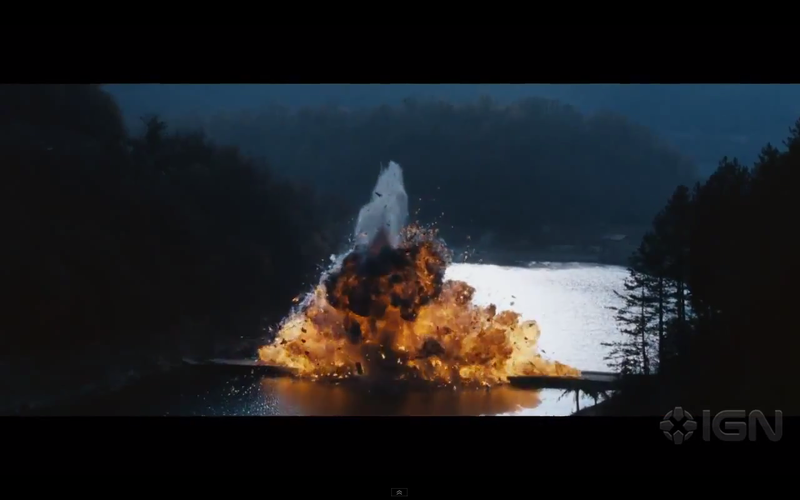 There are big explosions. 9. 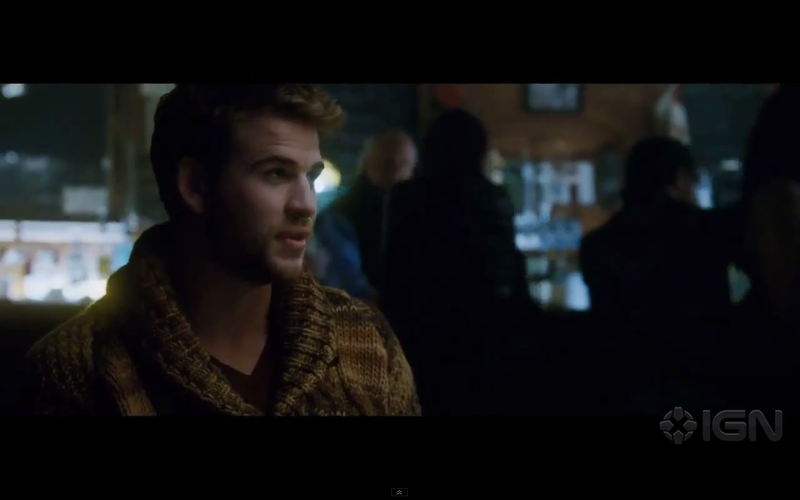 Liam Hemsworth wears a sweater that he borrowed from Miley. 10. 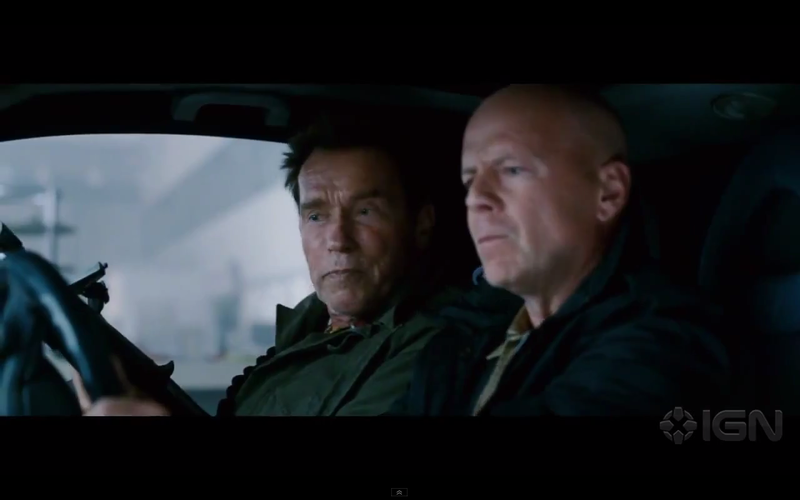 Arnold and Bruce actually get to do something. 11. 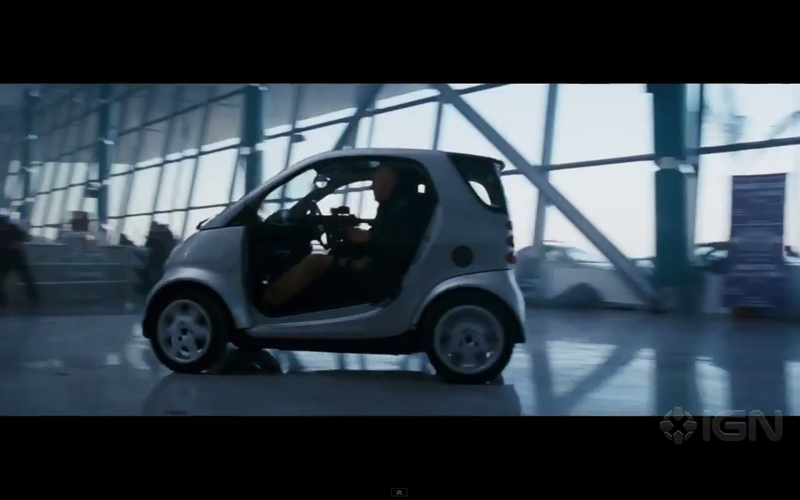 And that is support the green initiative by driving electric cars while firing machine guns. 12. 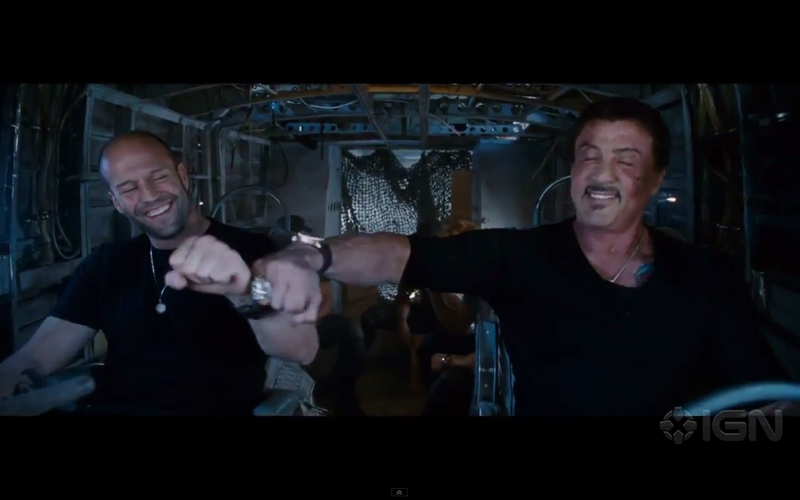 There is a manly forearm bump. 13. There are these guys. 15. 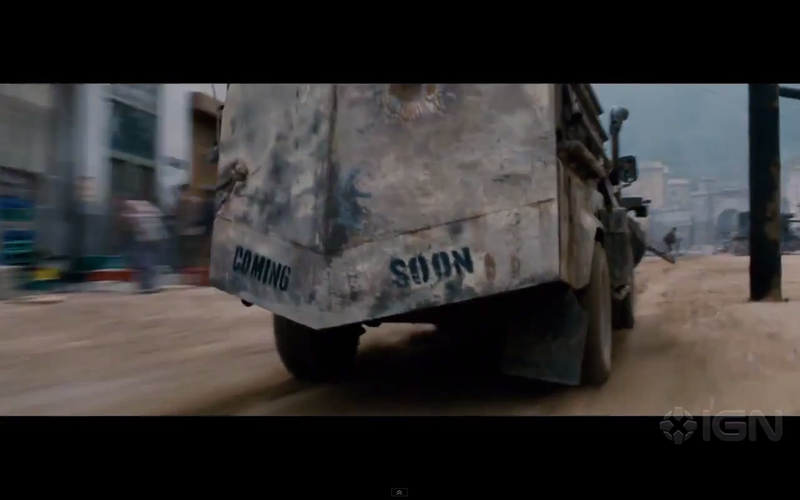 Plus there are (I think) tanks with names that double as clever advertising. 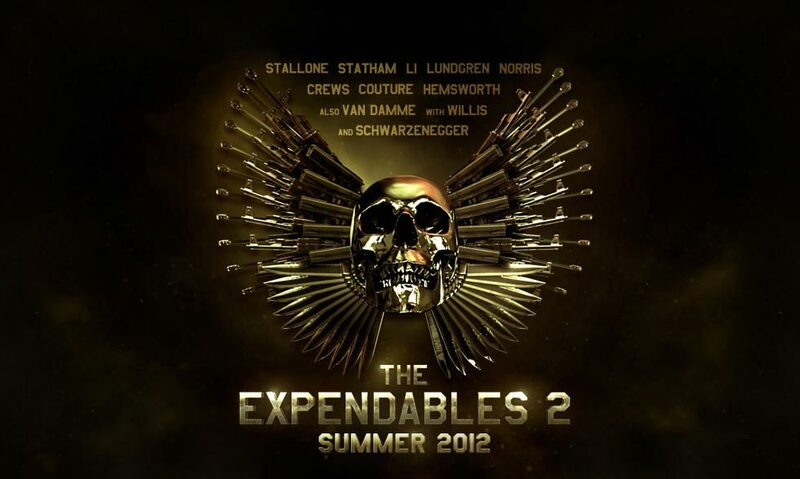 And that’s all we really need to know about The Expendables 2. August 17 is going to be a fantastic day.